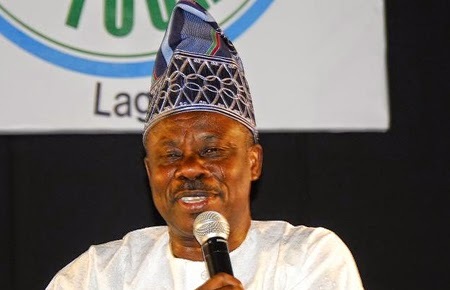 Governor Ibikunle Amosun of Ogun State has dissociated himself from the arraignment of an Okada rider, Wasiu Ogunnoiki, at the Sagamu Magistrate Court 1 and his subsequent remanding in a prison custody for alleged publications on facebook. A Magistrate court 1 sitting in Sagamu, had on Tuesday, heard the case of Mr Wasiu Ogunnoiki (31) who was arraigned before it for engaging in an acts capable of denting the image of the governor on the facebook. He was accused of engaging in acts that contravened Section 249 (d) of the Criminal Code, volume II Laws of Ogun state 2006 by publishing on his facebook account that Governor Amosun demolished houses in the state without compensating affected property owners and in manners that could incite the citizens against the Governor. But on Wednesday, Amosun said he could not find a single correlation between the offence for which Ogunnoiki was charged and what he was alleged to have done. He directed the state’s Ministry of Justice to look into matter and ensure that the man’s fundamental human rights are not further infringed upon. In a statement issued by the Attorney-General and Commissioner for Justice, Mrs Abimbola Akeredolu, Amosun noted that while his administration does not want to encourage indiscipline and abuse of rights, it will also not tolerate the infringement of rights of any citizen. The statement reads in part: “the attention of Ogun State Government has been drawn to a report in the newspapers stating that an Okada rider in Sagamu has been charged to court and consequently remanded in prison custody for denting Governor ibikunle Amosun’s image on Facebook. “I state categorically that the State Governor, Senator Ibikunle Amosun knows absolutely nothing about the allegations levelled against the Okada rider and the court case. The governor knew about the case only after reading the report in the newspapers. “The governor consequently dissociate himself entirely from the any such action taken against the said Okada rider or indeed against any other person in that regard. Senator Amosun, being a true democrat believes that all citizens are entitled to freedom of expression as enshrined in the Constitution of Nigeria. “As the Chief Law Officer of the state, upon becoming aware of the report, I have examined the provisions of the law under which the Okada rider was allegedly charged to court and cannot find a single correlation between the offence for which he was charged and what he is alleged to have done. “Nevertheless, the Governor has immediately directed the Ministry of Justice to urgently look into the matter to prevent the infringement of the Okada rider’s fundamental rights and bring an end to his continued remand in custody.